Please note folks: HelpNDoc includes free updates for a full version cycle (for example, 5.9 to 6.9 included), and includes a safety period of one year. Sometimes you just want to get down to the nitty-gritty task of writing help documentation without the hassle of dealing with expensive, complicated help authoring software packages with steep learning curves. If this is you, then you need to get yourself a copy of HelpNDoc. 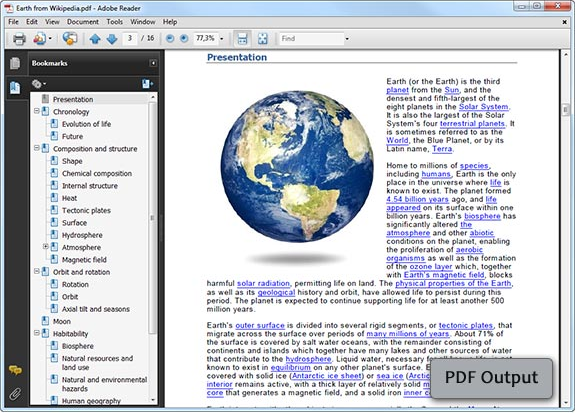 It's easy to use, intuitive, and it generates compiled HTML files, Word documents, PDF documentation, web content, iPhone websites as well as ePub and Kindle eBooks and Qt Help files from a single source! 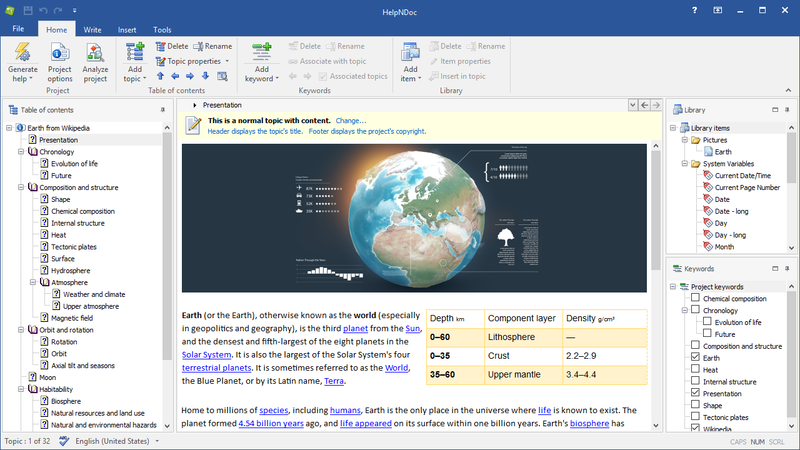 HelpNDoc looks and feels like your typical word processing application -- you use the WYSIWYG interface to type up your documentation, apply formatting, change fonts -- everything that you're used to doing in Microsoft Word. The magic happens when you hit the 'Generate Help' button. 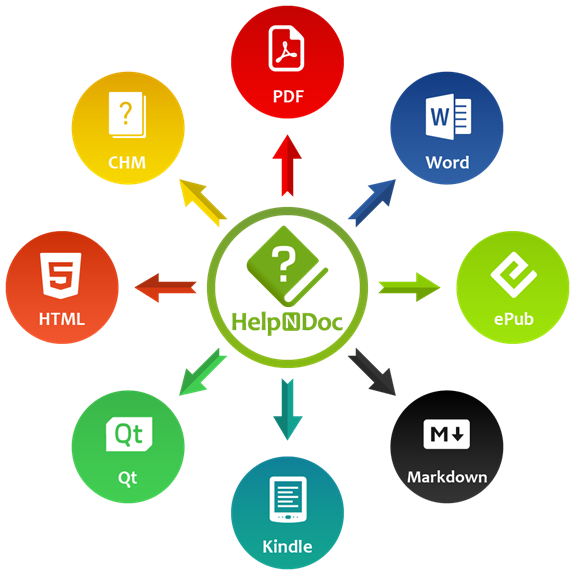 HelpNDoc does all of the hard work for you, producing a fully functional compiled HTML help file, Word and PDF documentation or iPhone websites -- ready to use, right off the rack. And what's more, HelpNDoc requires absolutely no complex technical understanding of HTML coding! Even if you are HTML proficient, HelpNDoc has you covered. In addition to producing self-contained compiled HTML help (CHM) files, you can also export individual help topics as HTML files for use in your website. 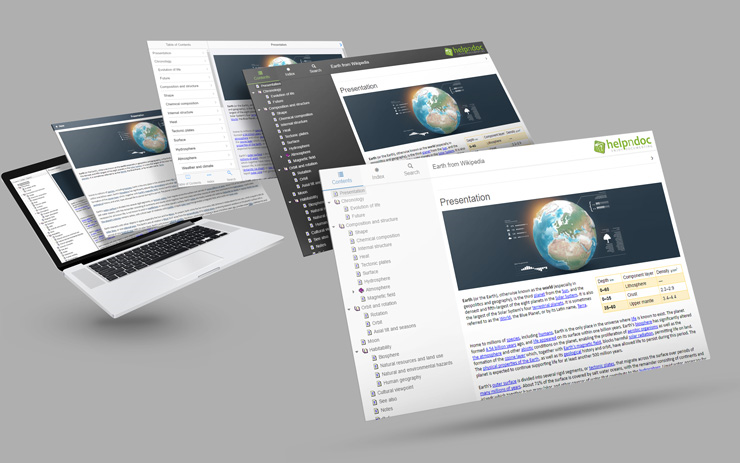 HelpNDoc also includes a powerful template system where every single aspect of the documentation output can be customized: the possibilities are endless! Please Note: A HelpNDoc license includes at least one year of free updates and continues as long as a full version cycle hasn't been reached. Customize your documentation output using the powerful template system. Manage and export your media files with the centralized library container. 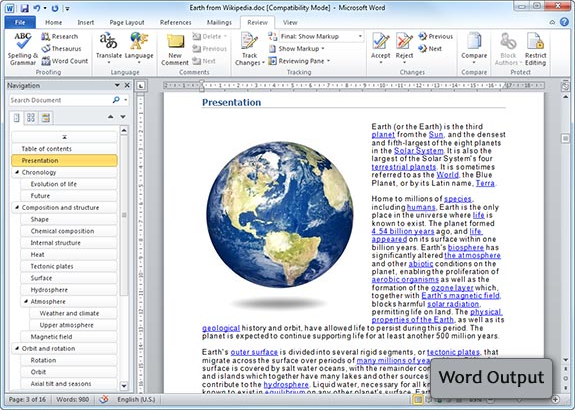 Program-wide live spell checker using OpenOffice.org dictionaries. Generate code for any programming language to interact with the generated help file. Import existing compiled CHM Help files, HTML files and Word documents. Fine-tune your PDF documentation with powerful options such as advanced font embedding customization. Project wizard to get started with a new documentation project in a matter of seconds. 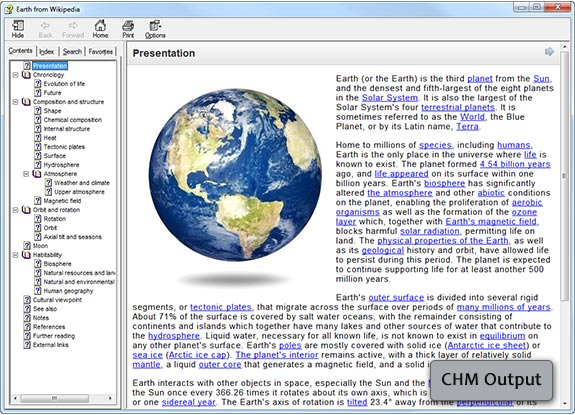 WYSIWYG editor supports advanced Word processing features such as floating images and styles. 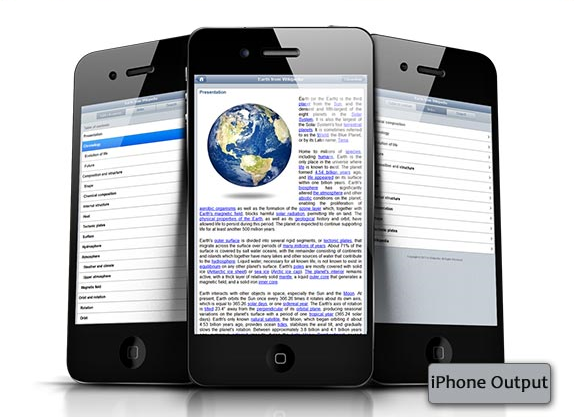 Create HTML help documentation, Web documentation, PDF and Word documents, iPhone web-sites, ePub and Kindle eBooks in no time without a steep learning curve. Create helpful keywords using the Keyword Editor. ePub and Kindle eBook generation, compatible with all eReaders including Apple's iPad and Amazon's Kindle. Build system: create as many customized build of any documentation format as needed. 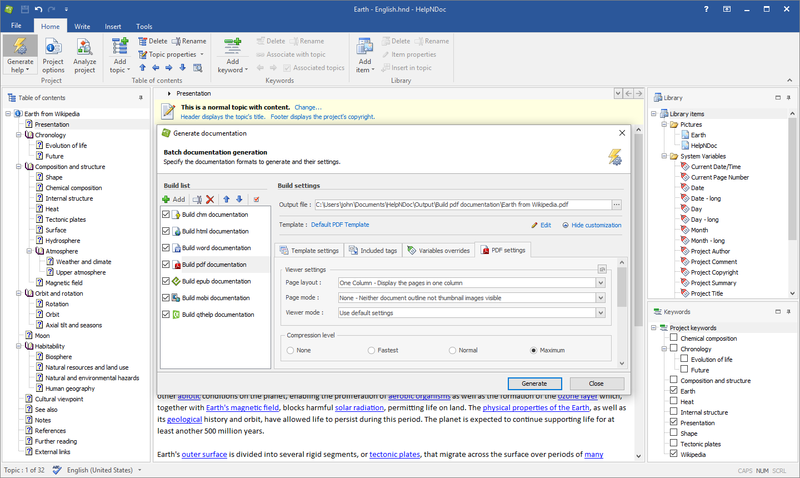 Conditional generation of the documentation content. After you purchase HelpNDoc Professional Edition it may be used indefinitely. 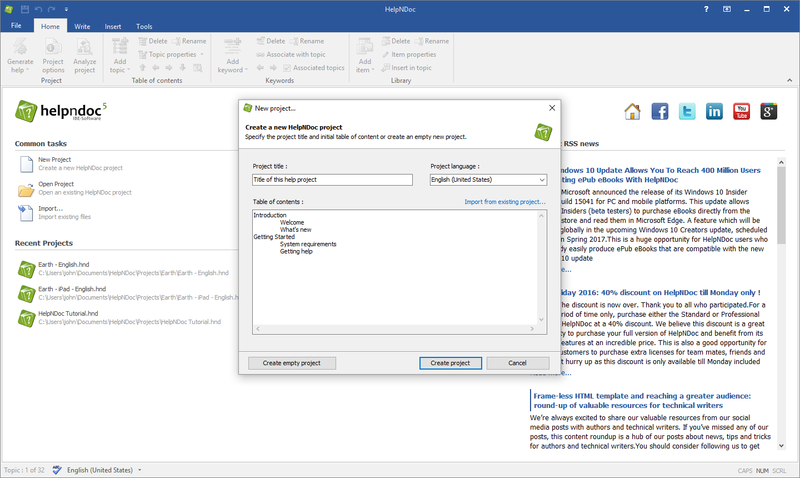 HelpNDoc Professional Edition is licensed per user, so if more people are going to use HelpNDoc Professional Edition you will need to purchase additional copies. Upgrades to future versions of the software will be free up to the next major version. For versions after that, upgrades will require additional payment, which will be discounted. Stephen Kreyling What new features or improvements do you plan on putting in the new version 6.0? John Riche Hi Stephen Kreyling and thank you for your interest in HelpNDoc. Please know that we never provide details on what's coming (and when) to future releases of HelpNDoc as this is highly subject to change based on user feedback and quality control. We sometimes open beta programs to customers with active licenses, which is the only way to get information about upcoming releases. Customers are notified by e-mail when that happens. Jack Las promo is allowed for licence upgrade? John Riche Hi Jack Las. Please contact us at https://www.helpndoc.com/contact/ with your order number. Nico Westerdale Great News! IBE Software has agreed to extend this deal for another day - Enjoy!